When I booked to go to Brussels to see twenty one pilot’s emotional roadshow, I didn’t know just how emotional a roadshow it would be. I think the best way to think about my recent trip to Brussels is that every cloud has a silver lining. Let me explain. I was due to leave for Brussels at 10.30 a.m. on Monday morning. At 7 p.m. the Friday evening before, my travel companion told me they were now not coming. Cue two days of panic and stress as I tried to find someone to take their place or, alternatively, tried to make other arrangements. Which as you can imagine, is quite difficult with less than two days notice. 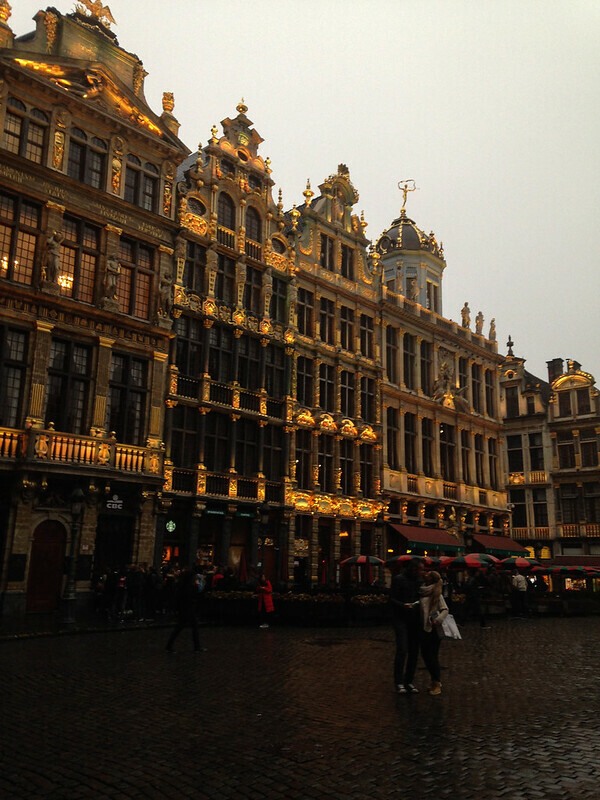 Spoiler alert: everyone carried on with their lives and I went to Brussels. So, the trip didn’t get off to a particularly good start, this is where the silver lining bit came into play. Yes, this wasn’t the trip I had planned, yes, this was an emotional roadshow in more ways than one, but I do love a city and Brussels was, if nothing else, an interesting place to be. My adventure began on my first full day in the city, after asking at the hotel reception how to get to Grand Place (the thing Lonely Planet recommended) I hopped on a tram (trams are a bit exciting aren’t they? Don’t see many of them in south England!) and less than 10 minutes later, I was wondering around one of the most beautiful places I have ever seen. Grand Place is essentially a square flanked with the most incredible buildings, I couldn’t possibly capture all of it with my mediocre camera skills, but I did my best! Exploring Grand Place also led me to find the one thing that absolutely everyone told me I had to see, Belgium’s national treasure, Manneken Pis. Yes. England has Big Ben. France has Eiffel Tower. Germany has the Brandenburg Gate. 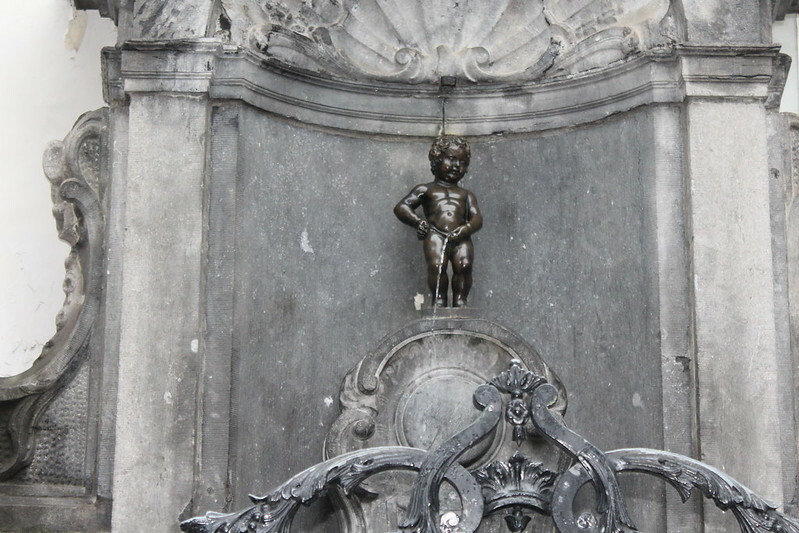 Belgium has a small, urinating child. Not only does this thing exist, but if you, like me, head to the Museum of the City of Brussels which is located in a wonderfully gothic looking building in Grand Place, you’ll discover that sometimes, they dress the statue up in various costumes and you can look at them all on display. Literally, this thing has more items of clothing than I do. Once I’d exhausted the many bantz to be had with Manneken Pis, I partook in a Belgian speciality, the famed waffle (wasn’t overly impressed tbh) and then found my way to the City Sight Seeing Tour bus. I’ve done the hop on hop off bus tours (you know the ones, they’re bright red open top busses) in a couple of different cities around the world and as it transpires that Brussels is very oddly laid out for a capital city, I figured it would be a good way to see some of the sights. Honestly, it was the worst of all the city tours I have ever been on. In Brussels there are two routes, the first bus took me to some fancy gardens, the atomium (which was a part of a world expo) and looked a bit fancy and to a few other pretty buildings. Only… It didn’t actually stop at any of the places it was supposed to and after we got stuck in traffic and hit the end of tour time, the driver just made us all get off the bus! What an absolute shambles! Didn’t put me off attempting line two the second day, even if it did start half an hour later than advertised leaving me standing in the rain at the bus stop, this one took me to parliament, the EU and the royal palace and gardens. Only, again, it didn’t stop at any of the advertised stops! Driving past the EU parliament bought back super sad memories of June 24th and realising we’re all screwed, though with the amount of traffic around that place I think I’ve realised why so many of the elected representatives never bothered to turn up to meetings. They’re probably just driving around the place trying to get there. That evening though was the point of the whole trip, twenty one pilots at Forest National for the emotional roadshow. Now, one cool thing about gigs at Forest National is that they give you free tram tickets to limit the amount of people driving to the venue, which meant not only did I have a free tram ticket to the gig but also instructions of how to get there. Thanks Forest National! However, even if I did have instructions and a free tram ticket, I speak very little French and even less Dutch, so finding how to get to the tram was a bit of a struggle, which led to me approaching two girls wearing top shirts in the train station and asking them for help. Turns out they were Dutch (remember that bit about me not speaking any Dutch? ), one of them could speak a bit of English, the other could not, but she could speak a bit of German. Many bants were had as they showed me how to get to Forest National with the three of us conversing in a mixture of English, German and Dutch and a slight tram hitch, but I got there, I got into the venue, I got a good spot and I had a bloody good time. Firstly, Bry supported (yes, Bry, who I have been watching on YouTube forever! ), he was awesome and his album is now on my must own list! Also after spending two days awkwardly trying to understand French, it was so nice to hear a familiar accent! Secondly, the emotional roadshow was just amazing! As lame as it sounds, it was kind of akin to a religious experience. It was so much more theatrical and exuberant than the last tour with Tyler literally disappearing from the stage and reappearing in the crowd seconds later and then dropping to the ground and appearing balancing on a pillar the next moment, the lighting, the staging… Just everything was perfection. I usually get a bit lame and emotional when talking about twenty one pilots so I won’t bore you with it, just know that they are the only band in existence that excites me and makes me want to be alive and create things. Of course, there were further adventures on my way back to the hotel, mostly because London tubes during peak time have NOTHING on those trams and my fellow gig goers saw a full tram and instead of thinking, wow, I’ll get the next one, all thought, challenge accepted. It wasn’t much better when I got on the tram, I was pressed against a window like a cartoon in a comedic situation. Still I got back in one piece, I survived being let down at the last minute, I survived Brussels and even though it wasn’t the trip I was expecting, it was still kinda lovely. I saw some beautiful buildings I wouldn’t have done otherwise, I experienced a unique city and I got to see an incredibly magical musical performance. 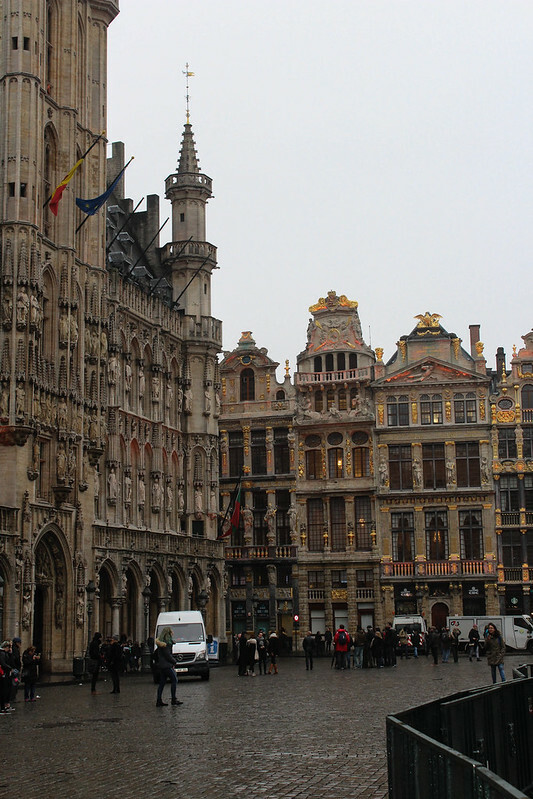 I don’t know if I’d visit Brussels again, but I am keen to see more of Belgium and learn more about its culture and history… I’m thinking Bruges or Antwerp, anyone been to either of those places? Thoughts? The army appear to hang out in the train stations which really doesn’t make me feel safe! Any city that has a small weeing boy as their thing is a city I want to spend more time in. So, there we go, that was my very emotional Belgian roadshow.